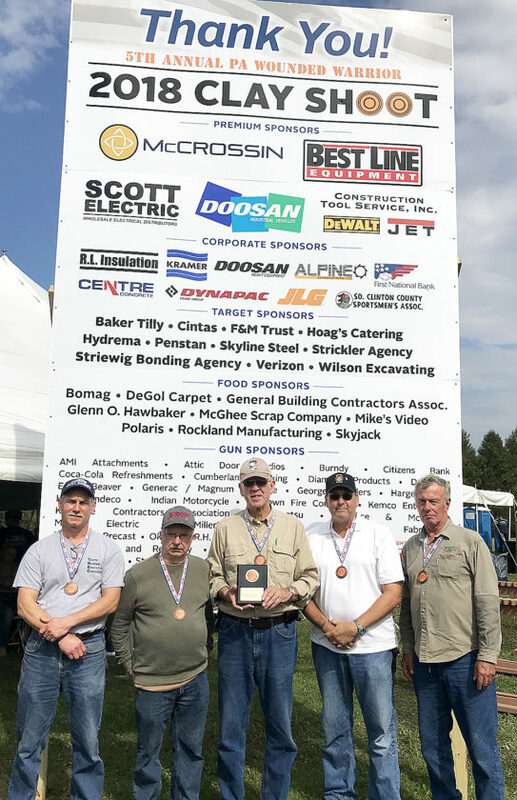 The team from Southern Clinton Co. Sportsman’s Club recently won the fifth annual Wounded Warriors Endurance Sporting Clays event held Oct. 6 at Warriors Mark Shooting Club in Houtzdale. There were 54 teams entered and $95,000 was raised and presented to the Wounded Warriors of Pa. Members of the winning team are from left, Lenny Young, Gail Shaffer, Tom Jeffries (team captain), John Lavrich and Jim Bryant. They scored 225/250.